Justice A M Badar, in a judgement delivered last week, granted anticipatory bail to the woman, who had filed an appeal against an order passed by the trial court last year. 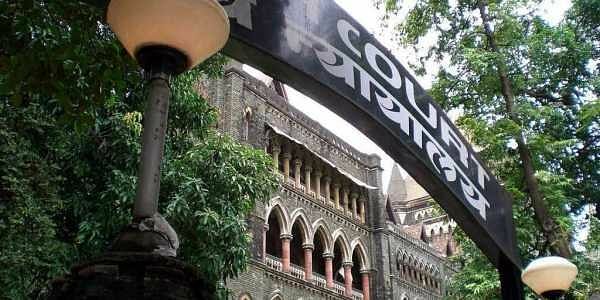 MUMBAI: The Bombay High Court has granted protection from arrest to a city-based woman, accused by her lesbian partner of committing a criminal breach of trust and another offence under the SC/ST Act. Justice A M Badar, in a judgement delivered last week, granted anticipatory bail to the woman, who had filed an appeal against an order passed by the trial court last year rejecting her request for protection from arrest. He said the complainant, who belongs to a Scheduled Caste, failed to establish that the petitioner had committed any offence under the Scheduled Castes and Scheduled Tribes (Prevention of Atrocities) Act. As for the allegation of breach of trust, the complainant had alleged that despite being in a relationship with her, the petitioner had continued to maintain "sexual relations with her husband and with other men". Justice Badar, however, noted that the allegation of breach of trust was questionable since the legality of their relationship could not be considered by the high court in an application of pre-arrest bail. As per the petitioner's plea, she and the complainant woman had been friends since 1997. "The acquaintance developed into an intimacy and subsequently into a homosexual relationship" between them, the plea reads. But after an argument in December 2016, the complainant registered a police complaint against the petitioner on charges of outraging her modesty, criminal intimidation, and criminal breach of trust. She alleged in the FIR that the petitioner cheated her since she had gone back on her promise to divorce her husband. In February 2017, the complainant lodged another FIR against the petitioner, this time alleging that she had called her names and thrown casteist slurs at her that would constitute an offence under the SC/ST Act. The complainant told the police that she had gone to the petitioner's house soon after the first FIR, asking her to return gold jewellery and six dresses. At that time, the petitioner's husband had screamed at her and thrown her out of the house, she alleged. Justice Badar, however, noted that shouting at her and throwing her out of the house did not make for an offence under the SC/ST Act. He observed that the second FIR seemed to have been lodged by the complainant as an afterthought to restrict the petitioner's chance of securing anticipatory bail. He also noted that both the women had lodged multiple complaints against each other with the police. "This chequered history of lodging of complaints and cross-complaints shows that while both women were earlier in a lesbian relationship, the relationship has now turned sour, and developed into extreme enmity," Justice Badar said. The first FIR lodged by the complainant deals principally with the fact that the petitioner committed a breach of trust by indulging in sexual relationships with her husband and other men despite being in a relationship with her, he noted. "How such a relationship is legal is a question that need not be considered in this application. However, it suffices to say that the first version of the complainant's FIR has no averments to any offence under the SC/ST Act," Justice Badar said. It seems that the FIR (by the complainant) came to be lodged only because the petitioner lost interest in the relationship, he observed. The FIR also seems to be motivated and averments regarding an offence under the SC/ST Act came to be made belatedly and with no explanation for such delay, he said. "Viewed from this angle, such motivated allegations cannot come in the way of enjoyment of personal liberty by the petitioner," Justice Badar said.